Dripping directly out of the structure of the building, this piece is in a continuous state of oxidation. Nozzles at the top of the sculpture spray salt water onto the sculpture which in turn rusts the iron. 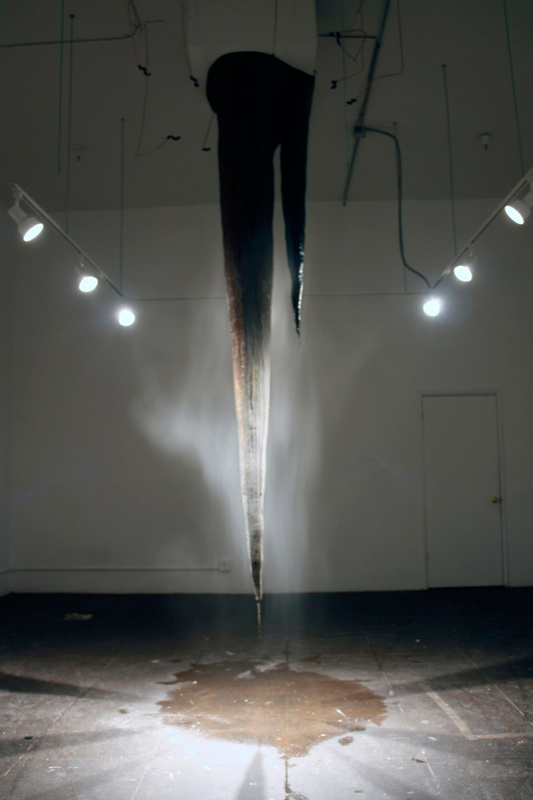 The piece was first installed at the Oceanside Museum of Art and then shown at compactspace gallery in Los Angeles.